Found this over at the Everyday No Days Off Gun Blog﻿. You can always count on them for a good laugh. 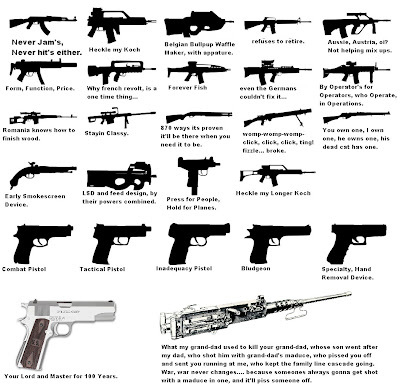 Can you identify all of the firearms? AK47, early type, HK G36KE (E Denotes triple optic carrying handle on the K, FN F2000, M16A2, Steyr AUG, Early MP5SD with A1 stock, FAMAS F2, HK XM8 carbine, L85 or SA80, likely L85 due to older SUSAT sight. FN SCAR L, early model. 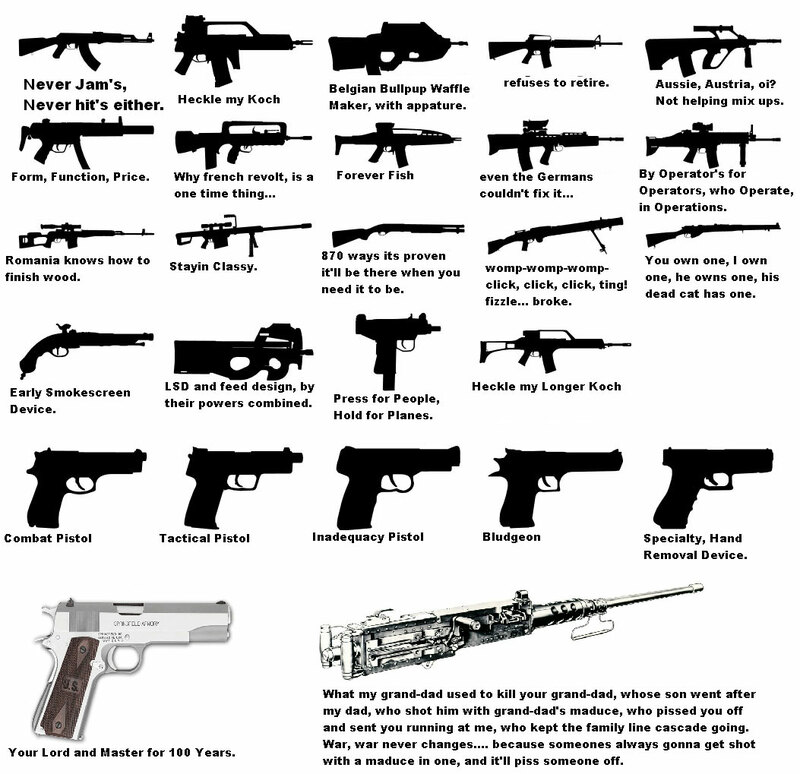 Dragunov SVD, Barret, likely M82A1, Remmington 870, DP28, Enfield SMLE, Berreta M9 or M92FS, HK USP.45 tactical Or USP SD (9mm version of the tactical), FN Five Seven, Israeli Military Industries Desert eagle, Glock 19, Some silly copy of a colt 1911, Browning M2.